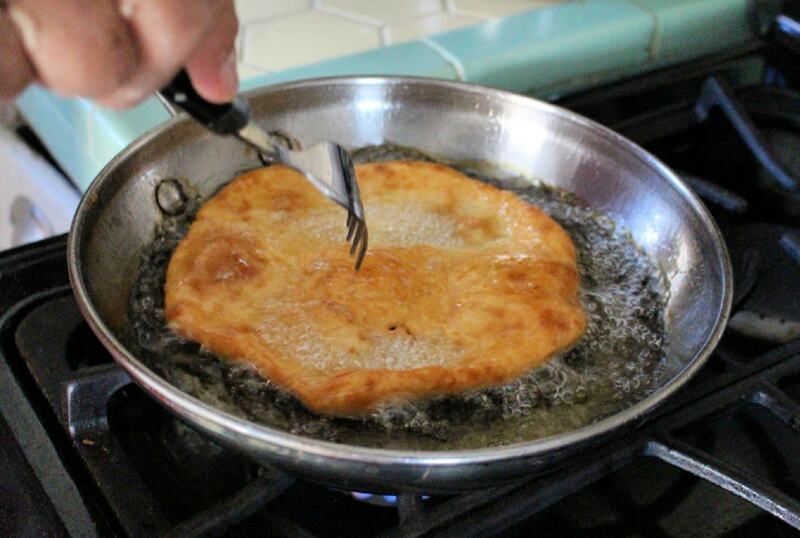 Buñuelos, or Mexican Fritters, are a traditional Mexican dessert usually made during the Holidays. Watch the VIDEO or follow the step-by-step tutorial to make this yummy sweet Christmas treat. This post is very special to me because of my mom. She never travels far by herself, but this time, she jumped on a train and came to visit me and my family. I asked her to make buñuelos, and she happily accepted. We had a great time making them in my tiny kitchen and talking about old times. It’s not Christmas until there’s a stack of buñuelos on the table. This and red pork tamales, that is what families give each other during the Holidays. 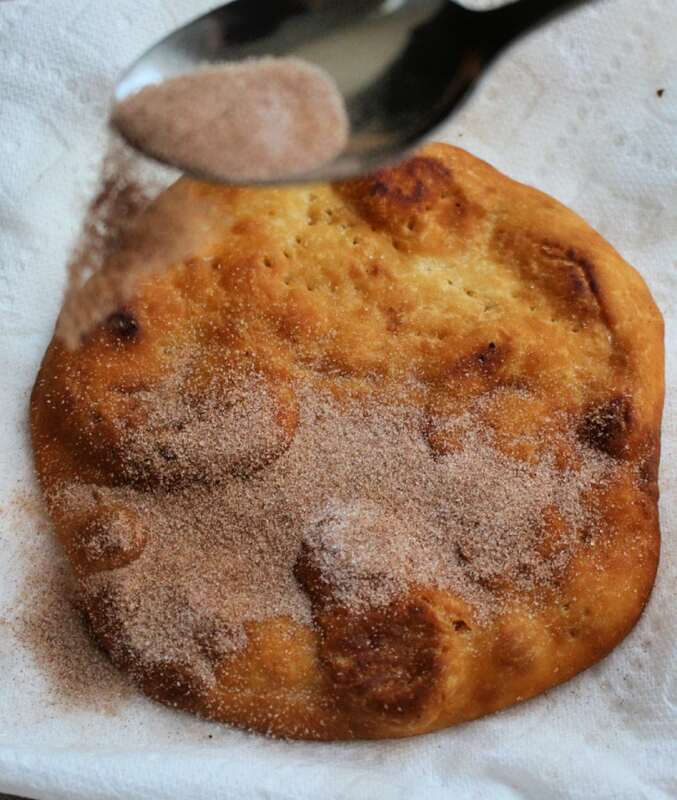 In a nutshell, Bunuelos are made from a sweet flour dough that has been fried and sprinkled with cinnamon and sugar. My mother did all the mixing by hand because she’s old school. You can use a mixer if you don’t want to get your hands too dirty. Add salt, sugar, and baking powder. Mix to combine. After you add the shortening, the flour mixture will be slightly crumbly. 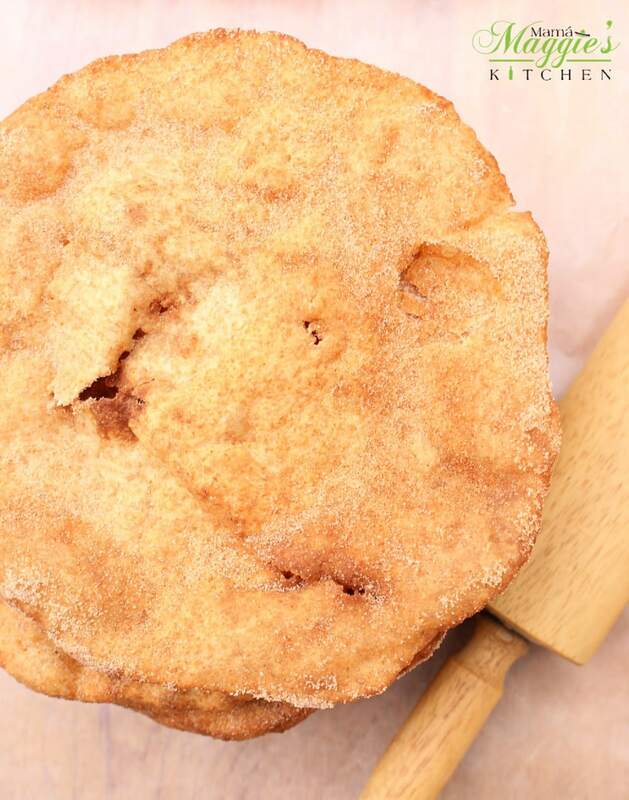 Have you ever seen a Dutch Apple Pie or a cobbler with the crumbles on top? That’s exactly the consistency you are looking for. It was very interesting to see my mother. She knew exactly what to add. My previous experience with buñuelos was my mom made ‘em, and I ate ‘em. Lol. 🙂 This time, however, I learned from the best. From here, add enough water to make a dough. Eyeball it. 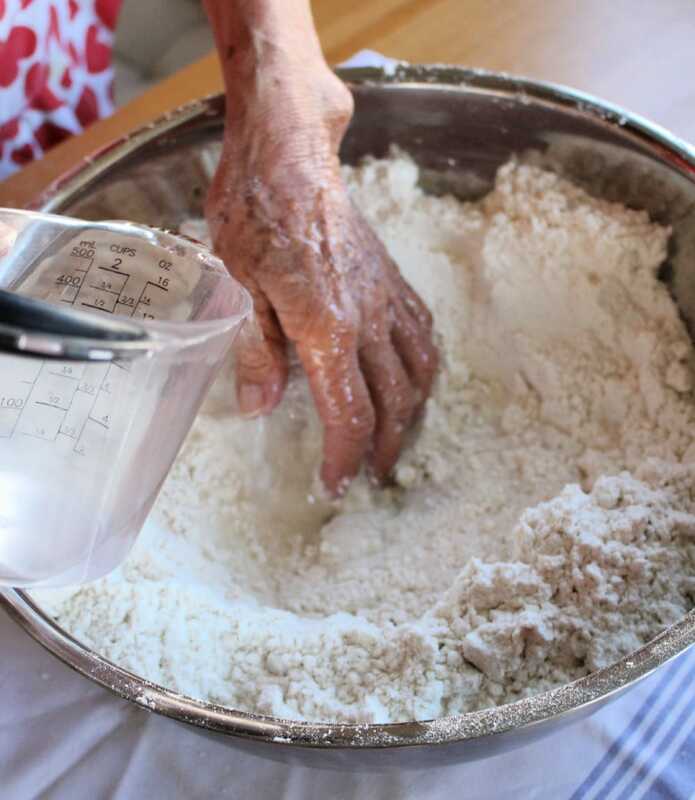 If you add too much water and the dough is too wet, add more flour until you get the right consistency. It’s flour power! There is some kneading involved. This is where a good mixer comes in handy. Or, burn up some calories to make room for the buñuelos. Take a piece of the dough. About the size of a golf ball and roll it out. I’m rollin’… They hatin’ … Turn the dough as need to roll it out thin. Thin it to win it! You want them to be the size of flour tortilla. Think fajita-size flour tortillas. See how my mom stretches the dough? If a small hole forms, it’s ok. Just press it or pinch it back together. Buñuelos are not perfect. I’ve eaten plenty of them with holes. Ohhhh holy night… Lol. As you can tell, there’s a lot of random music going on at my house right now. 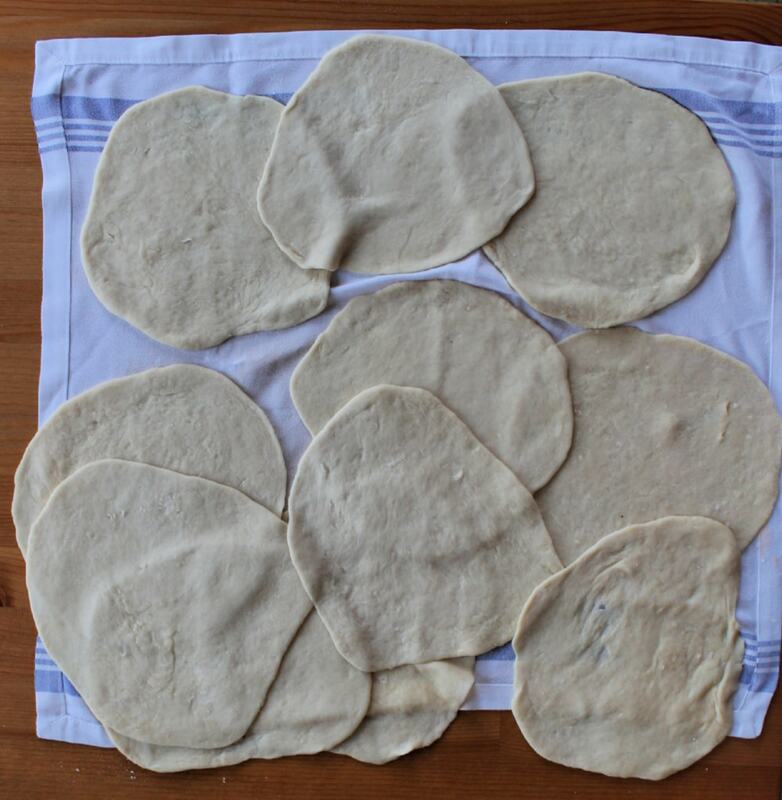 Once you’re done rolling out the dough, lay them on a kitchen towel. Cover them with another kitchen towel while they rest and await their turn to jump in the fryer. See how much oil I used? Well, I had to refill the pan twice to get through all of the frying. Oily to bed, oily to rise, those buñuelos are better than fries. FYI: I am using canola oil. Olive oil and coconut oil are not good for frying. Note: If you burn the buñuelo while frying, you need to start all over again. Dump the oil. Wash the pan. Or, all the other buñuelos will taste like burnt oil. No joke. You gotta poke. If you don’t poke the dough, the center will inflate and not cook. 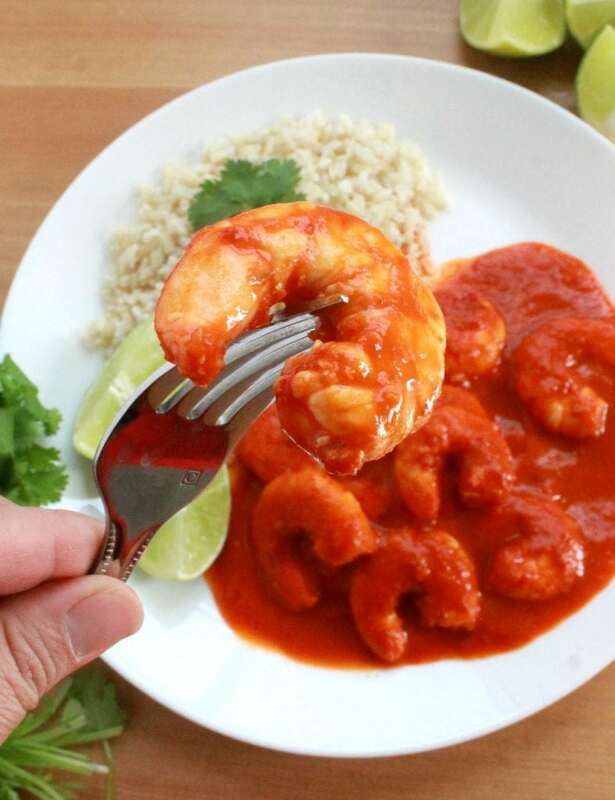 Use a fork, and poke it several times while it’s frying. Be very careful. The oil is very hot. After you finish frying, place the fritter on a paper towel to drain slightly. Don’t pat them down. The oil is essential. You don’t want to drain all the oil. You will need some of the oil so the cinnamon and sugar mixture can stick. Then flip it and sprinkle the back. The sprinkling has to be done while the oil is still slightly warm. Drop it while it’s hot. In Mexico, there are tortillerías (or stores where they sell tortillas). They usually sell the dough for buñuelos. You just have to go home and fry the dough. In the US, there is also a short cut. 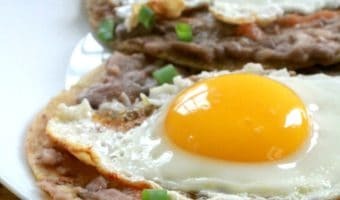 You can use regular flour tortillas and fry them. However, they will not come out the same. 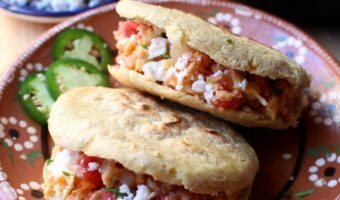 The dough in this recipe is sweeter than regular flour tortillas, and the flour tortillas you find in the grocery stores are already cooked. In a pinch or if you’re feeling lazy, why not?! Please don’t tell my mom I said that. LOL. 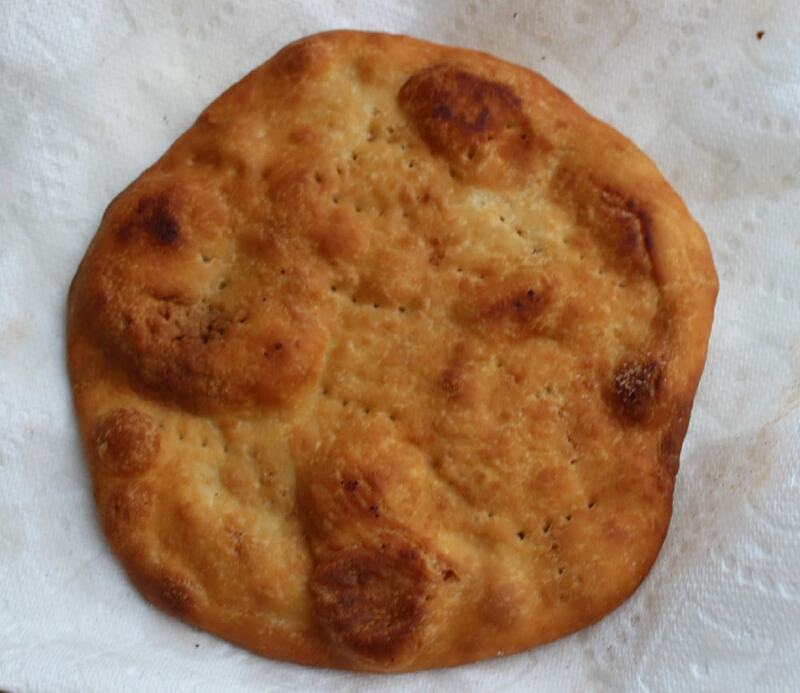 Buñuelos are different in South American countries and in Spain. They are still sweet, but they are fried balls. Not necessarily thin like the Mexican kind. My family is the state of Durango. The recipe you find here is how we make them. My aunt, however, is from the state of Michoacán. They add a syrup made with piloncillo and anise to their buñuelos. 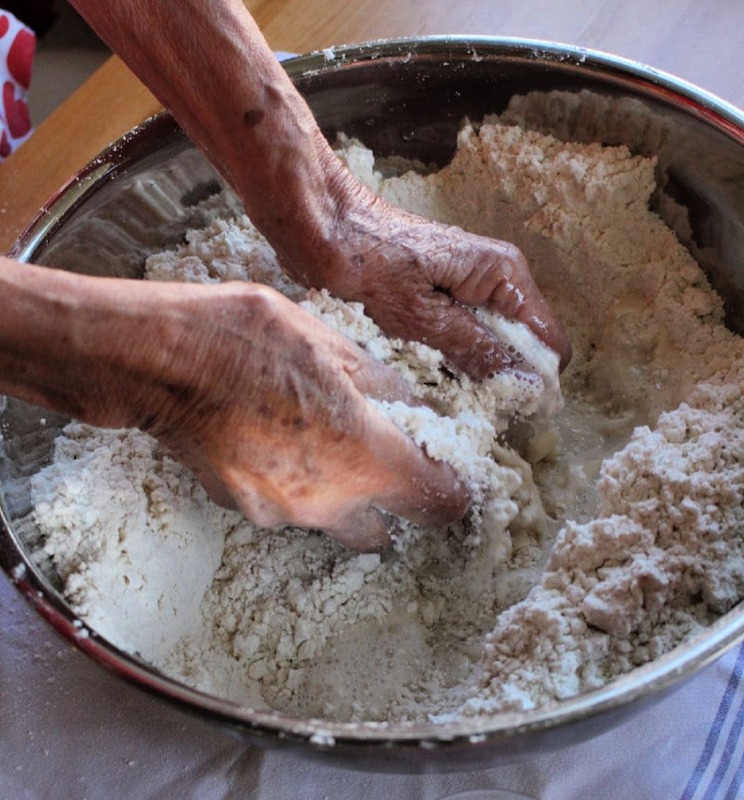 Check out my mom’s skilled hands make Buñuelos in the video. 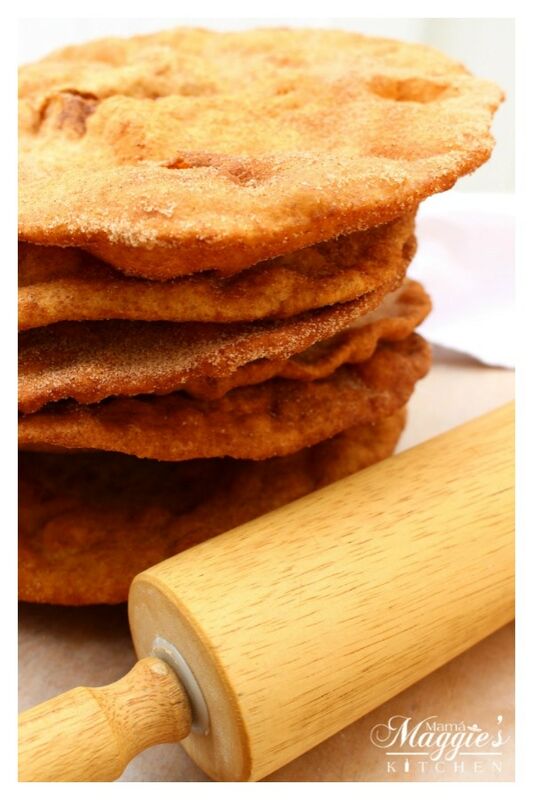 Buñuelos, or Mexican Fritters, are a traditional Mexican dessert usually made during the Holidays. 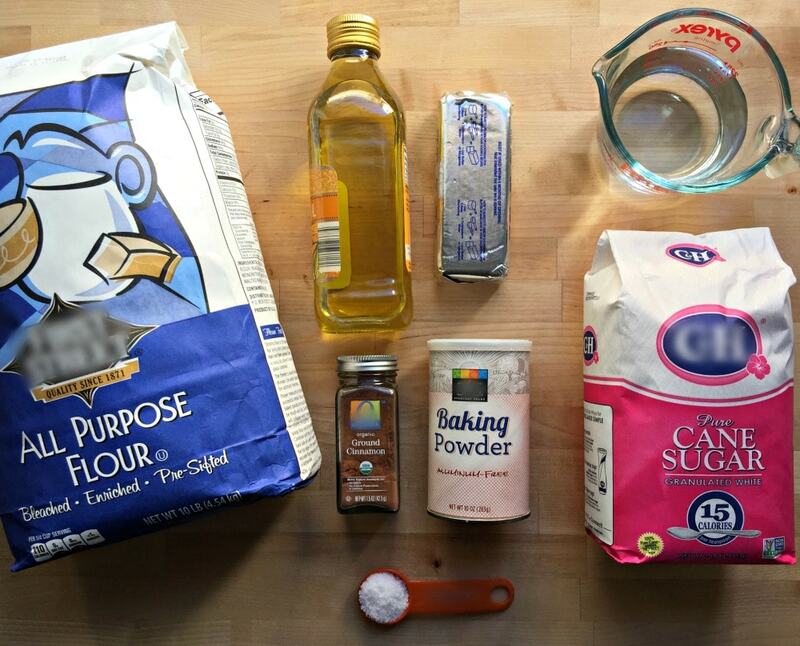 In a large bowl, add 2 ½ cups of flour, sugar, salt, and baking powder. Mix until the mixture is a crumbly consistency. Add ¾ cup water to the flour mixture. Add more water until it forms a dough. 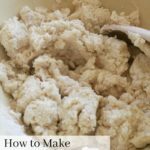 If the dough is too wet, add more flour. Make 16 small balls of dough. About the size of golf balls. If you want bigger Buñuelos, make the balls bigger. 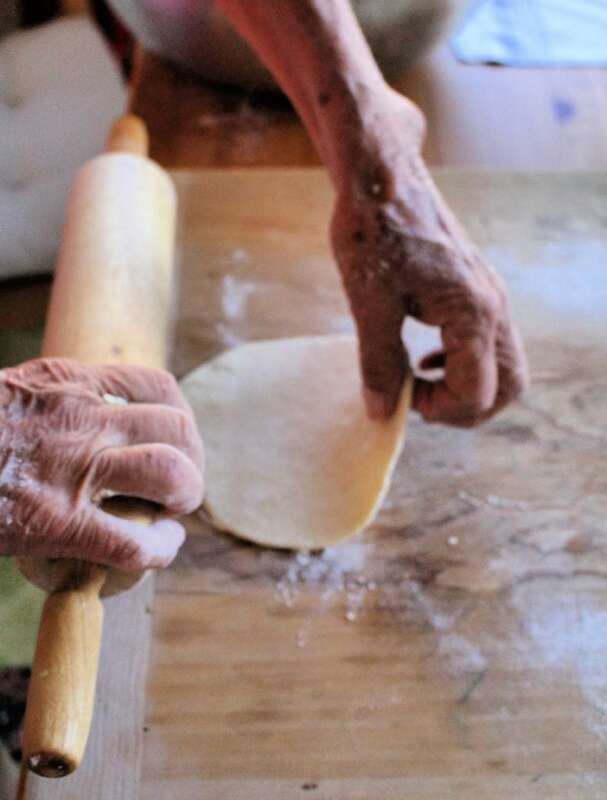 Roll the dough to 6-inch in diameter. If a hole forms, pinch the dough back together. 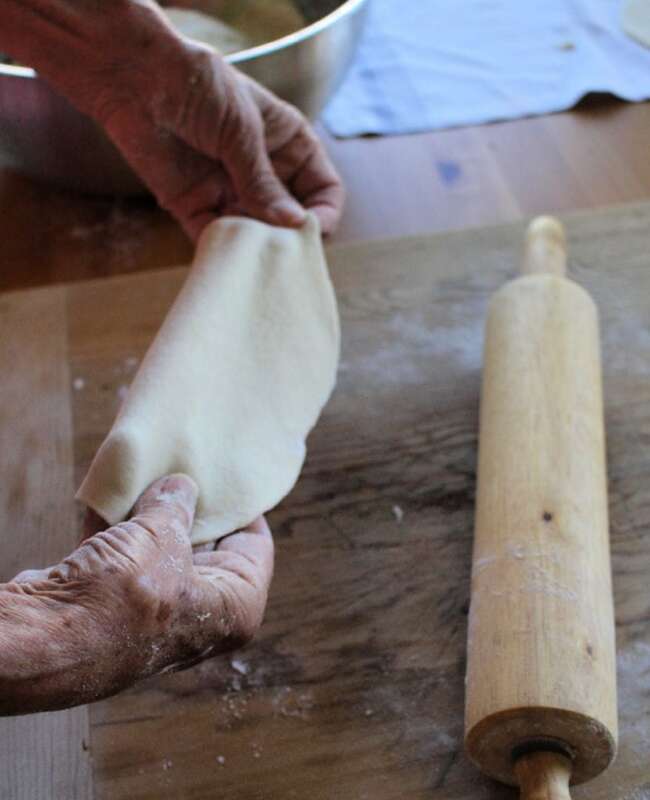 Lay the rolled out dough and cover with a kitchen towel. 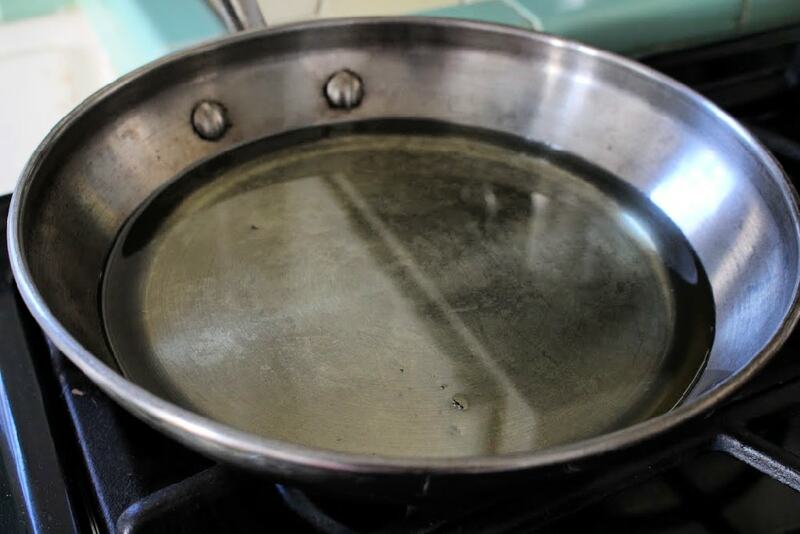 In a large frying pan, heat the oil. Fry one rolled out dough piece, one at a time. With a fork, poke the center of the dough several times while it’s frying. Fry 2-3 minutes on each side. Place on a paper towel. Mix the 2 cups sugar and cinnamon in a bowl. 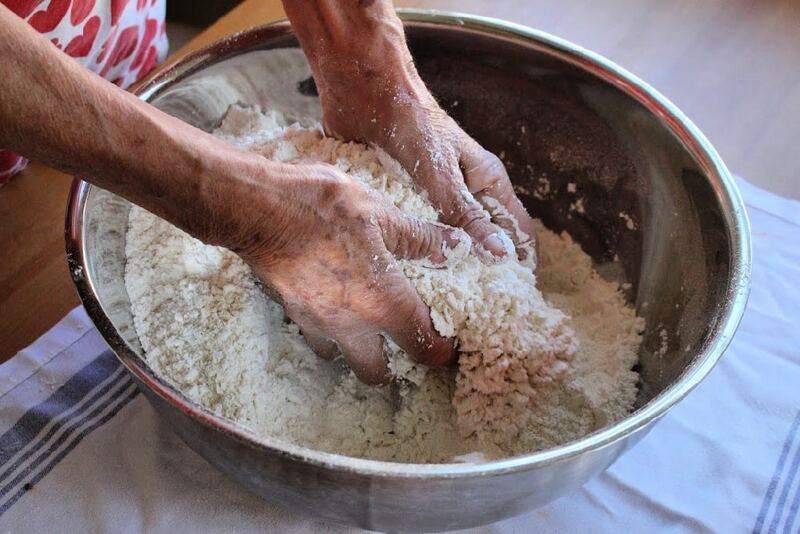 Sprinkle a generous amount of the sugar cinnamon mixture on top of the Buñuelo. Flip and sprinkle on the back side of the Buñuelo. 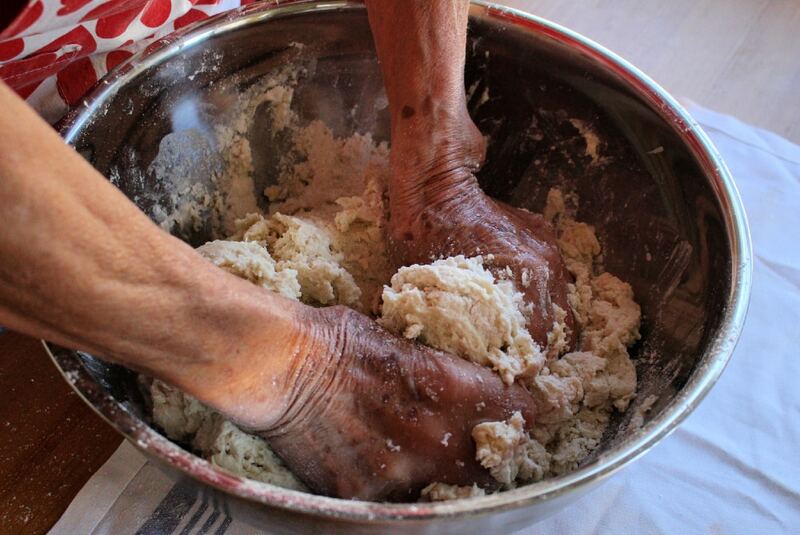 Do this for each Buñuelo as they come out of the frying pan. If you don't poke the dough while it's frying, it will not cook properly. 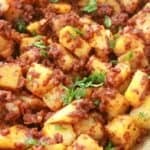 Please rate this recipe! If you have a question, leave me a comment. Oh my goodness these look so delicious! I’ve never tried eating them, but now I’m tempted to try cooking them! You so should! 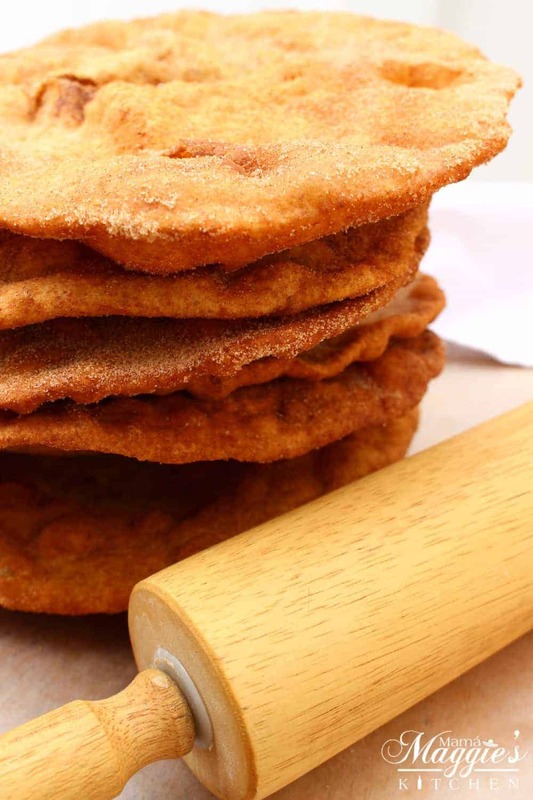 Buñuelos, or Mexican Fritters, is a favorite during the Christmas Holiday season in Mexico. I have never had Mexican Fritters. They sure do look delicious. 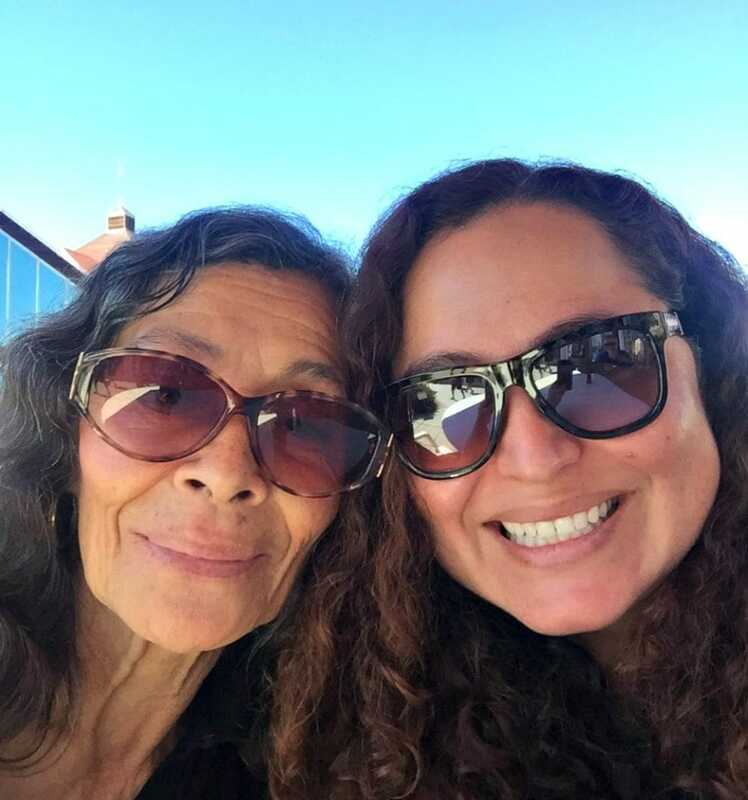 What a special bonding time for you and your mom! 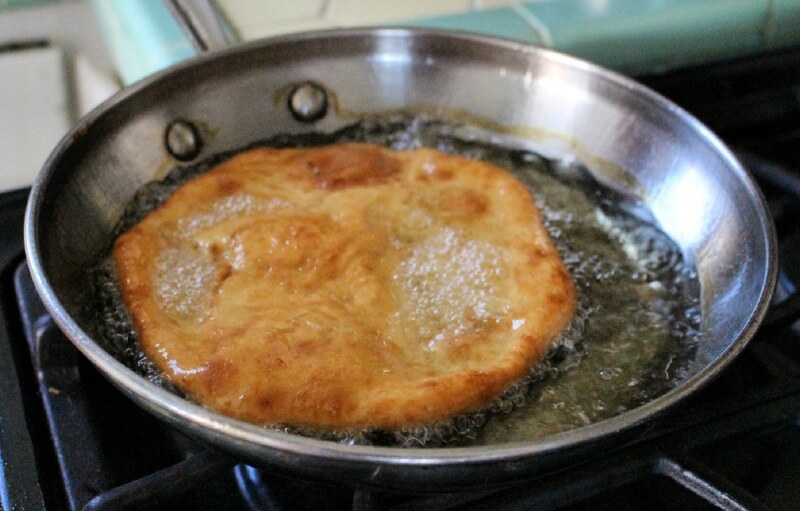 Making Buñuelos, or Mexican Fritters, with my mom was epic. Hope you get to try them some day. They’re really good. it looks yummy and crunchy.. thanks for the recipe, I will try it at home. Hope you do. 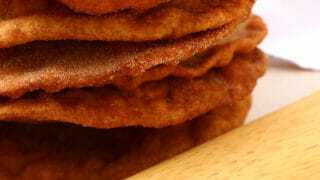 These Buñuelos, or Mexican Fritters, are delicious!! LOL. Patience is a virtue, they say. I have to say, freshly made conchas are the best. Looks like you both had a great time cooking. The food is making my mouth water. Yes. Thank you. It was great spending time with her. Kids LOVE these Mexican fritters. They’re soooo good! Sounds look you and your mum had a lovely time together. 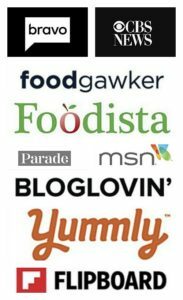 These sound delicious and I’ll definitely be giving the recipe a try! Thank you. Yes, it was great to see her. Hope you do. 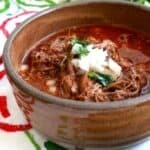 This recipe is soooo good.